I’d say I’m a bit of both. 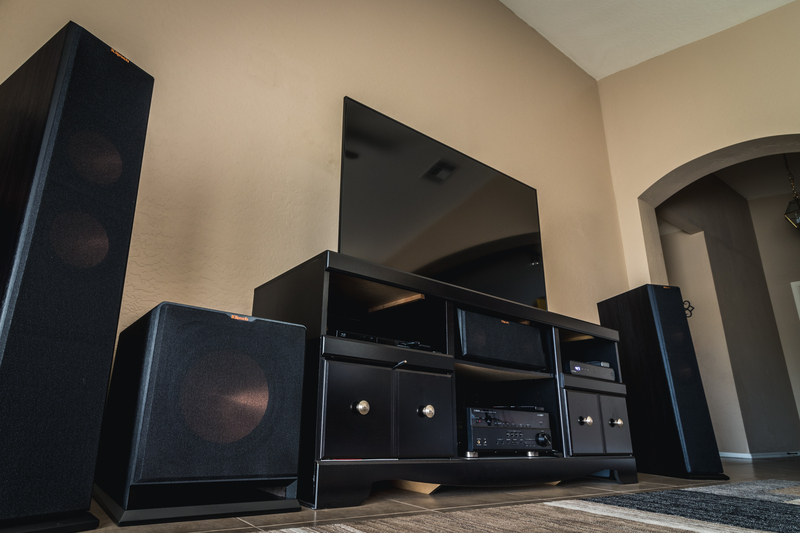 There is nothing better than a finely tuned 5.1 surround sound system. 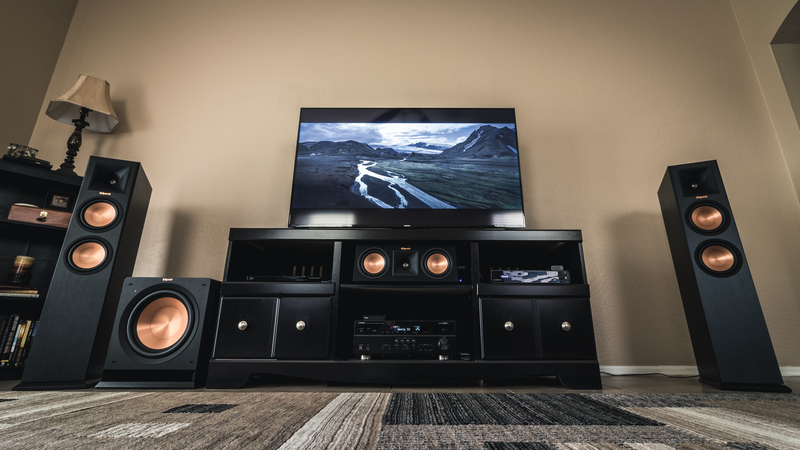 My Klipsch setup is more than capable of delivering a captivating soundstage. Music has always been a big part of my life. My dad, a guitar player, was always in bands growing up. He brags about rocking me to sleep to the blues as a baby. His love for music was passed on to me. There is nothing more relaxing than kicking back in the recliner, turning up the tunes, and feeling the stress of the day melt away. 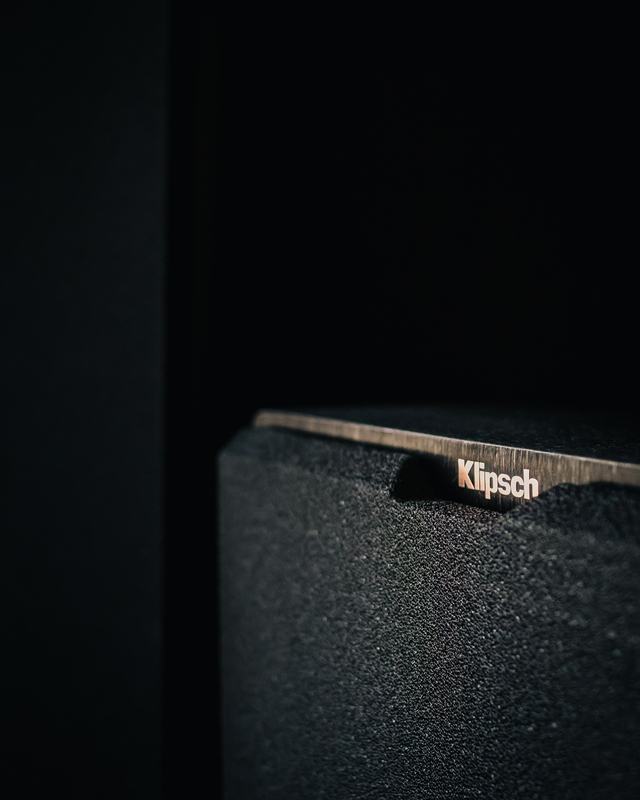 The detail, fullness and crispness Klipsch speakers produce is something you need to experience for yourself. 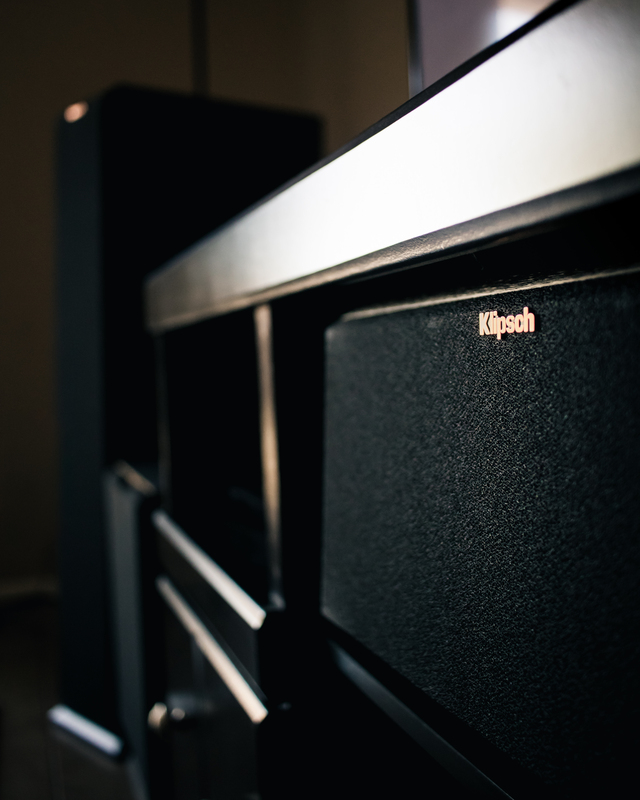 Tell us about your first experience hearing Klipsch speakers. I had my first Klipsch speaker experience at my dad’s house. He had just upgraded his home theater system and invited me to listen. He popped in a David Gilmour concert DVD with DTS. The moment I heard Gilmour in “Wish You Were Here,” I knew I would have my very own set of Klipsch speakers one day. And I would have the biggest, baddest set my budget allowed. Before my wife and I set out on our house hunting journey, we made a list of deal breakers. At the very top of the list was living room layout. If the living room wouldn’t work as a future media room, we would walk away. We found the ideal layout and perfect house. We got our speakers. Two Klipsch Reference Premier RP-260F’s towers in the front, an RP-250C in the center, two RP-250S’s surrounds in the back, and an R-112SW subwoofer (to shake the walls). I was soon installing our home theater and contemplating the next component. A couple months later, we purchased a second R-112SW subwoofer (to shake the walls even more). Besides the amazing sound, I love the look of the speakers the most. I usually keep the grilles on. When the light falls on the speakers just right, you can see those big beautiful copper cones slightly peeking through from behind the fabric. That’s my favorite part. Spouse. She loves them. At first, she couldn’t understand why Klipsch speakers were so expensive or what made them so much better than our old speakers. The first song we listened to was “Hotel California.” Loud. Her questions were answered that day. 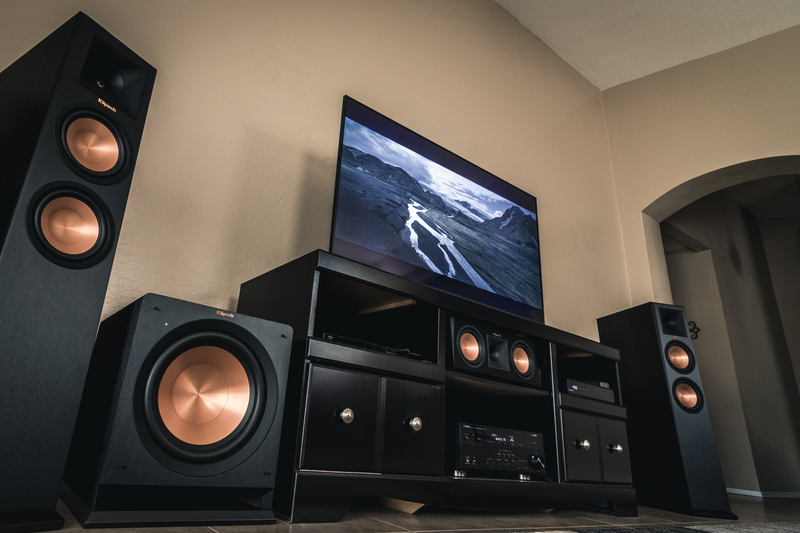 When a guest listens to your Klipsch set-up, how do you want them to feel? I want people to enjoy themselves. I want to play familiar songs so they experience the music the way the mixing engineers intended. I want them to feel they’ve experienced the song in a way that reveals details they’ve never heard before, even if they’ve listened to the song a million times. Based on the volumes emanating from these walls, the neighbors probably think I'm hard of hearing or something. Probably a movie to start. One I’ve seen before. Anything Tarantino. He has great music choices in his films. Maybe “The Big Lebowski” if I want comedy. Music afterwards. Probably a nice chill Electronic selection. 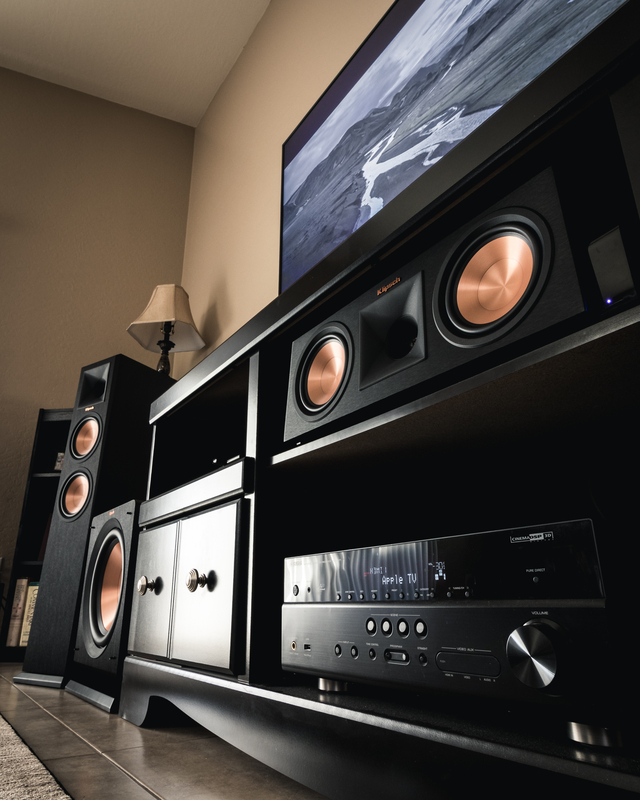 So what's next in your Klipsch system? Any items you've been eyeing? Maybe some Heritage HP-3 headphones and a Heritage Headphone Amplifier to match. Or a pair of RP-140SA Dolby Atmos elevation speakers, perhaps.